Happy Father’s Day! I know I usually make Oz posts on Mondays and Tuesdays, but I’m posting this today in honor of the holiday. It’s a list of fathers in the Oz series, not comprehensive by any means, but hopefully hitting most of the main dads. I’ve already written about some of these characters, but in this entry I tried to focus primarily on their relationships with their children. Dr. Pipt – Never identified in canon as a father, but in the silent film version of The Patchwork Girl of Oz, he has a daughter named Jesseva. 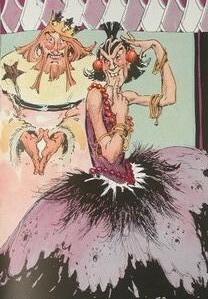 And I suppose he’s also the closest thing the Patchwork Girl herself has to a father. King Evoldo of Ev – He was known as a tyrant who sold his wife and children to the Nome King in exchange for a long life, which he then destroyed by jumping into the ocean. Hey, I didn’t say these were all GOOD fathers. Roquat/Ruggedo – Again, we have to turn to extra-canonical sources for this character to be identified as a father. In Sherwood Smith’s Oz books, we meet Rikiki, who identifies himself as the son of the former Nome King. I don’t recall the young Nome ever saying what Ruggedo was like as a father, but apparently his mother was far worse. By the way, Mysterious Chronicles identifies Rug’s own father as Yetsan, Prince of the Ghorns. 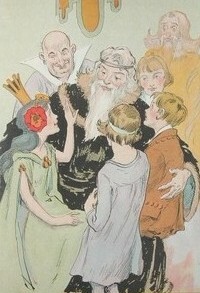 King Renard IV of Foxville – After he gives Button-Bright a fox head, his three daughters show up to dote on the boy. Jak Horner – Although the adult Horners are raucous jokesters, they raise their children to be quiet and demure, using advice from a book written by an old bachelor. Jol Jemkiph Soforth of Oogaboo – The former king of this small country grew tired of the drudgery of running a kingdom and the constant nagging of his wife (named Dede in Karyl Carlson and Eric Gjovaag‘s Queen Ann), so he left the land. His wife soon followed, leaving their daughter Ann as the new queen. Their younger daughter, Salye, lives in Ann’s house with her, and the two sisters frequently bicker. Queen Ann involves Ann searching for her parents, and eventually finding them in the nearby city of Goldendale. Captain Griffiths – Trot’s father was out at sea most of the time, so his friend Bill Weedles became more or less the girl’s surrogate father. What’s odd is that, when Trot and Cap’n Bill come to Oz to live in Scarecrow, there’s no indication that anything happened to her parents, yet Trot apparently doesn’t even think of them when given the offer to stay. For that matter, Button-Bright mentions living with his father in Sky Island, and he also agrees to live in Oz with no qualms of abandoning his family. March Laumer gives an interesting explanation as to what happened to Captain Griffiths, claiming that he was shipwrecked on a mysterious island and discovered by his wife and daughter some decades later. Speaking of the parents of Americans who came to live in Oz, there’s a short story called “Betsy Bobbin of Oz” in which Betsy finds her parents, Robert and Belle. Dorothy’s father is long dead, at least as far as we know. Kynd of Jinxland – Princess Gloria’s father was pushed into the Great Gulf by his prime minister, Phearse. In Phyllis Ann Karr‘s Gardener’s Boy, Gloria’s husband Pon locates Kynd and his wife Tralynda, and they reclaim the throne of Jinxland. Phearse of Jinxland – Identified as Pon’s own father, although Gardener’s Boy says that the wicked king actually bought the boy from the Wicked Witch Blinkie. As revealed at the end of the book, his real father is the royal gardener Terry Cotta. Of course, Gardener’s Boy isn’t canonical, but it IS a really good book. King Kitticut of Pingaree – The father of Prince Inga showed his son the three magic pearls that his ancestor had been given by the Queen of the Mermaids, but he was unable to retrieve them before the raiders from Regos and Coregos captured him. Therefore, it was up to Inga to rescue his parents. Bini Aru – The magician father of Kiki Aru, whose sullen teenage son discovered one of his magic tricks and used it to try to conquer Oz. Chang Wang Woe – According to Royal Book, the Scarecrow was in his previous life known as Chang Wang Woe, Emperor of the Silver Island. The Emperor had three treacherous sons, who in turn had fifteen sons between them. For some reason, we only learn the name of one of these princes, Too Fang. During the chaos at the end of the book, a magic potion lands on the Emperor’s sons, and they turn into two pigs and a weasel. Prince Pompadore of Pumperdink – The circle of life continues (well, sort of; I guess there isn’t much of a circle when hardly anyone ever dies), and Pompa had a daughter of his own, Princess Pajonia. King Fumbo of Ragbad – When Grampa was the Book of Current Focus, J.L. Bell pointed out that this absent-minded king was rather a rather distant parent to his son Prince Tatters, even before he lost his head. 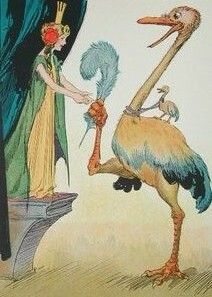 Peer Haps – His only child, at least as far as we know, is Princess Pretty Good. King Chin Chilly III of Isa Poso – This man of ice and snow offered the hand of his daughter, Princess Poso, to anyone who slayed the dragon Enorma. As it turned out, however, he just gave away his daughter’s literal hand, and she grew another one. Pastoria – Ozma’s own (probably adoptive) father is discussed in detail in this post. And his own father is the subject of this entry. Asha of Rash – The former Pasha of Rash retired from ruling in order to study radio. He left his son Evered in charge, but his brother Irasha (sometimes spelled “Irashi”) stole the throne. Reddy was eventually able to win it back, but whether Asha ever returned isn’t stated. I actually wrote a story, “Asha’s Homecoming”, that deals with this subject. I wrote it when I was in high school, so I’m sure it could do with some editing, but I still like the basic idea. King Dad of Down Town – Down Town is a money-obsessed community located underneath Ev, and its ruler Dad seems to spend most of his time on the roof of a bank with his cruel wife Queen Fi Nance. I don’t think we’re specifically told that Dad really IS a dad, but because of his name, I thought he deserved to be on the list. King of the Big Wigs – The usually-giant ruler of Immense City is annoyed by the stray kitten than his daughter Princess Elma brought into the castle. This pet is actually the Hungry Tiger, who is kitten-sized compared to the Big Wigs in giant form. Wumbo the Wonder Worker – The illegal magician is the father of Kuma Party, and somehow responsible for Kuma’s ability to come apart. Ozwold the Oztrich – I just wrote about him, so I guess there’s no need to do so again. King Cheeriobed – The kindly but absent-minded King of the Ozure Isles and father of Prince Philador became King of the Munchkins at the end of Giant Horse. 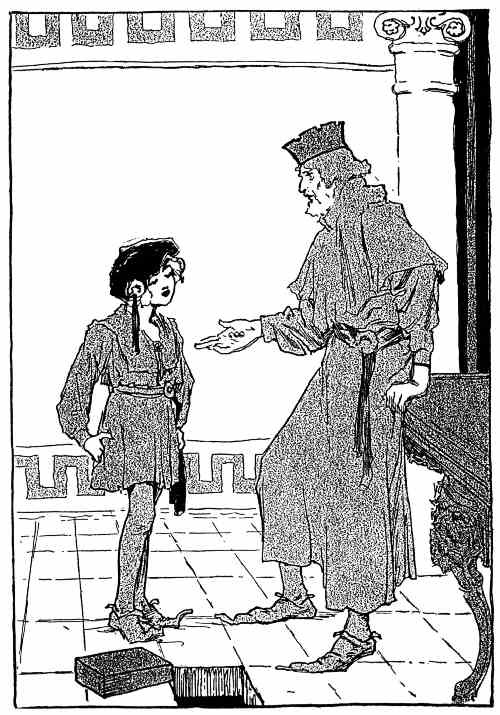 King Gil of Gilkenny – While not specifically identified as such, the father of Queen Orin of the Munchkins might well be the Sovereign of the Gillikins we see in Road. He’s only mentioned in passing in Giant Horse, but he’s apparently still ruling Gilkenny. King of Corumbia – The father of the Yellow Knight was turned into a tree by the Sultan of Samandra, and kept that form for about five centuries, after which he was freed by Speedy. King of Corabia – Father of Princess Marygolden, and organizer of the tournament for his daughter’s hand in marriage. He spent 500 years as a fish, and was thought by Speedy to still kind of look like one. Former King of Regalia – He retired from his position to live as a hermit in the mountains, leaving his young son Randywell to pass the tests and take over as king. We never learn his name, but I sort of like the idea that his name is Handywell, Randy’s middle name. The impression given in Silver Princess seems to be that Randy and his father are no longer in contact, but it’s certainly possible that the newer king has paid a visit to his father’s cave or whatever since then. Hey, maybe he’s there today! King Ree Alla Bad of Seebania – Okay, I don’t think I’m going to be able to complete this description without spoilers, so if you haven’t read Ojo you might want to move on. After Mooj conquered his kingdom, Ree became a bandit chief named Realbad. He met up with his son Ojo without even realizing he HAD any children, and the two adventured together before their relationship was revealed by Unc Nunkie. King Christopher of Crystal City – How a man made of crystal managed to have a daughter isn’t clear, but he’s identified as the the father of the ugly Princess Crystobel. This picture shows both of them, looking rather un-crystalline. King Sizzeroo of Umbrella Island – Another kindly but absent-minded apparently single royal father? This is getting to be an epidemic! Sizzeroo (shown on the left in this picture) is the father of Princess Reeda, better known as Gureeda due to her reading habit. 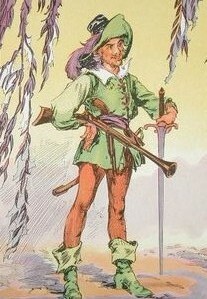 Number Nine’s Father – For some reason, Neill never names this character, despite having him appear pretty often in his books. He’s a Munchkin farmer who has fourteen children, and gave them all numbers instead of names. His two children who strike out on their own are Number Nine, who becomes assistant to the Wizard of Oz; and Sister Six, an employee of Jenny Jump’s Style Shop. At the time of Wonder City, Number Fourteen is still a baby. This family has some odd traditions, including the Question Hour when each child is allowed to ask one question. Professor Manley – Jam’s biologist father, who appears only briefly in Hidden Valley. King Herald LXIV – At the beginning of Merry Go Round, he’s King of Halidom. He’s a rather slow-witted man, and at the end of the story, he abdicates in favor of his son Gules, who becomes King Herald LXV. Whether the elder Herald also has a private name like Gules does is never stated. The picture shows Herald LXIV with his wife Farthingale. 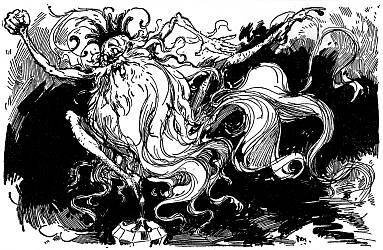 Ibernut of Kapurta – He never appears in person in an Oz book, but he’s identified in Enchanted Island as the old King of Kapurta. When he died, his son Rupert became the new ruler. How Ibernut died isn’t clear, but since Kapurta is in Oz and death is extremely rare there, it presumably wasn’t by any mundane means. Or maybe he died back when that was still common in Oz. We don’t really know. Tobias Bridlecull, Sr. – A famous highwayman in the Bordermoor between the Winkie and Gillikin Countries, who was banished to an island in the Nonestic Ocean by the Good Witch of the North, along with most of his relatives. The only remaining Bridlecull in Oz is Tobias Jr., who unsuccessfully tried to uphold the family tradition of thievery but eventually gave up and became Ozma’s bodyguard through a rather bizarre set of circumstances. Grandioso Septentrion – Septentria, a country in the Gillikin Mountains, is known as a Democratic Monarchy. It has a royal family, but they have no power, and are there just to be ornamental. 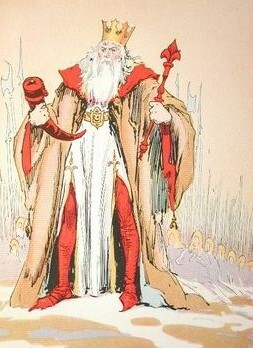 Grandioso, the former king, had seven children with his wife Elegantine. Their son Septimius was expected to take the throne on his sixteenth birthday, but he performed a test to prove himself useful, and hence his eldest sister Una received the position instead. While Elegantine was upset about how her son had turned out, Grandioso revealed that he wished he had thought to take such a test when he was young. Maestroissimo Pizzicato Furioso – WARNING! SPOILER FOR RUNDELSTONE! 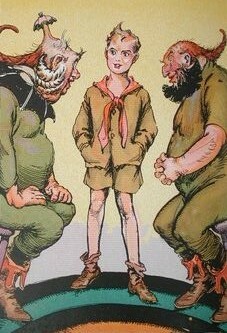 The leader of the Troopadours is revealed at the end of the book to be the father of the mushroom boy (in the sense that he GATHERS mushrooms, not that he IS a mushroom, which is perhaps an important distinction in Oz) Molto Rallentando, or Rolly for short. Losing his son made him rather grouchy, but they were eventually reunited. 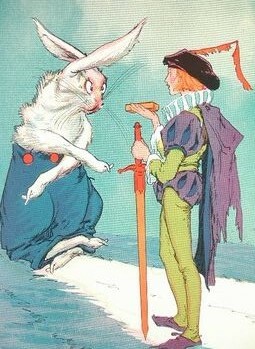 This entry was posted in Characters, Holidays, Oz and tagged betsy bobbin, big wigs, bini aru, books, bordermoor, cap'n bill, corabia, corumbia, crystal city, dorothy gale, down town, dr. pipt, ev, fathers, gloria, good witch of the north, halidom, jinxland, kapurta, karyl carlson, kiki aru, king cheeriobed, king evoldo, king fumbo, king pompus, king randywell, kuma party, march laumer, molto rallentando, mooj, nome king, number nine, ojo, oogaboo, ozwold, pastoria, patchwork girl, phyllis ann karr, pizzicato furioso, pon, prince philador, prince pompadore, prince tatters, princess pajonia, pumperdink, queen ann soforth, ragbad, realbad, regalia, salye soforth, scarecrow, septentria, septimius septentrion, sherwood smith, silver island, speedy, toby bridlecull, troopadours, trot, umbrella island, unc nunkie, wumbo. Bookmark the permalink. Princess Crystobel looks pretty, um, manly in that picture. Are we sure she’s not transgendered? Since it seems like genders for non-flesh-and-blood Ozites are determined mostly by people’s perceptions, perhaps she is if enough of us believe she is. Now you just sound Discworldian! I wonder if Oz is affected by narrativium too. If you got enough people to believe the Scarecrow was female, would he change into one?